Naming the “New Calvinism” And What Counts As One? 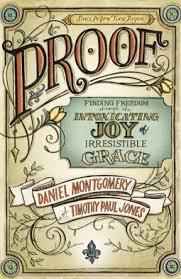 Dr. Jones and Daniel Montgomery also authored this very helpful book on grace. Over the last few months there’s been an uptick in online conversation about what to call the movement associated with organizations like The Gospel Coalition, Together for the Gospel, readers of John Piper, and so forth. Actually, ironically enough, it’s mostly the critics who need a name–most people in the movement don’t really care. Still, some would call them New Calvinists, or Neo-Calvinists, or Neo-Puritans, or for those with sharper knives, even Neo-Fundamentalists. For my money, the best entry into the discussion comes via Dr. Timothy Paul Jones who argues for some sort of “Neo-Reformed” moniker. That said, it seems to me that the most accurate descriptor would be “Dortianism” or, if some prefix must be affixed to denote the distinct contours of the current movement, “neo-Dortianism” (see chart below for this taxonomy). Unfortunately, I don’t expect “Dortianism” to blossom into anyone’s preferred terminology anytime soon. * The events at Dort are too obscure and the term itself sounds too distasteful to end up emblazoned on anyone’s book cover. (Do you really think that Young, Restless, Dortian would have attracted anywhere near the number of readers that Young, Restless, Reformed did?) And so, of the options that are intelligible beyond a handful of theologians and church historians, “neo-Reformed”—though not without its difficulties—probably remains the least problematic nomenclature in an ever-multiplying pool of possibilities. And perhaps part of what the less-than-ideal “neo-” prefix could connote is the spread of Reformed soteriology not only within but also beyond the historic Presbyterian and Reformed churches. This movement is best seen, though, as one minuscule current in a much broader stream that may be traced back into church history through an early seventeenth-century gathering of pastors in the Dutch city of Dort. Seeing the Reformed resurgence in this way turns our attention away from the latest parachurch conferences and star preachers and toward a far more vast and variegated history filled with events none of us could have planned and progenitors we would never have chosen. Recalling this crazy history in which the Remonstrants shaped the Reformed and “Calvinism” somehow leaped from caconym to compliment keeps us from slipping into smug self-satisfaction with passing illusions of success. It calls us to remember that we are nothing more than a few grains of sand in a majestic divine plan that’s far greater than any of us but that somehow by grace includes us. It calls us to bow in worship as we remember anew that we serve a God who is inscribing on everyone who rests in him—not only the Reformed but also the partly Reformed, the non-Reformed, the anti-Reformed, and a multi-hued multitude that’s never heard of the Reformation—the only name that ultimately matters: his own name and the name of his crucified Son (Revelation 22:4). “For what do you have that you didn’t receive as a gift? And if everything you have was given to you, why brag as if it wasn’t a gift?” (1 Corinthians 4:7). After that edifying ending, I’m sure you’ll want to read the whole thing here. I guess I still don’t know exactly what makes you neo-Reformed as opposed to simply being new at being Reformed. Feel free to read the article and then weigh in below! For what it’s worth–oh wait, FWIW–I think the whole need to label is misguided. At this point, I’m not sure how we’re really able to classify the “movement,” as it is so disparate. YRR was only the name of a book, and it really doesn’t capture what’s going on. “New Calvinism,” vs. “Old Calvinism,” as a distinction suffers the same problem. In both cases, many of those who are “young,” or “new” are neither! And the “New” Calvinism is, as many recognize, more of an Edwardsean Calvinism, which has a pedigree stretching back to the eighteenth century. Your point further shows that we can’t fit things into neat little categories. I’m sure your experience of coming to Reformed thought is not rare. I tend to agree. Still, I found Jones’ argumentation to be the most persuasive if we do need to have a label. Have you seen the whole article? He references your work as helpful in it. Oh yes, he has done the best job so far. You can see immediately the difference when a trained historian works on an issue like this. I’m often amazed at how people will discuss an issue outside of their field and make conclusive statements. Jones is much more careful and tentative. I too thought Jones entry was the best taxonomy I’ve seen. One thing I appreciated was the diagrams that made room for overlap, since in my experience that’s usually the case. These boundaries are far more fluid than people give credit for. Plenty of people labeled as “neo-Calvinist” are also “neo-Puritan” (really appreciated Jones’ deconstruction of that one). I also agree that those of us in these movements care a lot less about labels, except to note that Old/New is quite familiar to Reformed Presbyterians, for example, as evidenced by Old Light/New Light, Old School/New School. Pardon the silliness there, but one could have a field day with such terminology. I appreciated your little write up and the link to Dr. Timothy Paul Jones’ article. I believe he’s right about Reformed soteriology being disembedded or disentangled from the historic and confessional stream of the Reformed & Presbyterian church. I’m sure this isn’t news to such scholars like Richard Muller, Michael Horton, et al. In the end, I found Dr. Jones’ piece edifying. I’m willing to bet that I fall under the Neo-Reformed label. My gut reaction when I see the prefix “Neo-” is that it intended as a pejorative. Think Neo-Nazi! Of course Neo-Calvinists tend to own the prefix, so it’s not absolute. And Neo from the Matrix isn’t all that bad. But in this debate over Neo-Reformed/Neo-Puritan, it smacks too much of divisiveness and name-calling. You know Ian, I think there is something to what you’re saying. Our post-modern culture inside the church eschews labels on the grounds that these create divisions within the body. Therefore, to preserve “doctrinal purity” or to become a “new kind of Christian” who embraces a “generous orthodoxy,” the disembedding or disentangling of truth from traditional hubs seems to fit right in line with the times. In the grand scheme of things, I don’t know if there will ever be a sufficient label to describe the recent rise in embracing a more Reformed view of salvation. Human beings seem to have an innate desire to keep seeking truth, and then to label this “new” pursuit in order to give it some legitimacy. I realize that there is an undercurrent of cynicism in my remarks, which I think illustrates how much of man of the times I really am. D. M. Lloyd-Jones, “Fight for Survival,” Dedication, vol. 7 (January-February 1975), 12, cited in Andrew Atherstone, David Ceri-Jones and William K. Kay, Lloyd-Jones and the charismatic controversy,” in Andrew Atherstone and David Ceri-Jones, eds., Engaging with Martyn Lloyd-Jones: The life and legacy of ‘the Doctor’ (Nottingham: Apollos, 2011), 122.